Can I just draw your attention to something rather delicious? 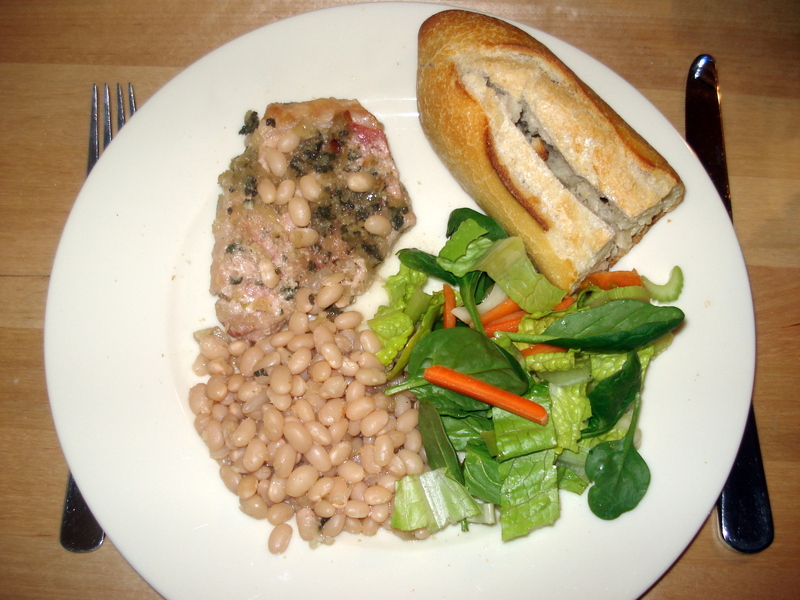 Slow-cooked Tuscan Pork is the thing! I got the recipe on Femina, so you’d better hop over there if you want it. Let me just tell you that this is worth making. I haven’t made it with a roast yet — I’ve used steaks, and have just added them about 2 hours into the cooking business. Talk about tender! I also don’t have a dutch oven, so I use a baking dish and cover it with tin foil. I imagine this would work a treat in the slow cooker. Serve with a fresh salad and crusty bread. YUM! The beans don’t look so appetising in the picture, but trust me, they come with a heap of broth and they’re very tasty! ← Oh yes, I have a blog.